Yesterday I annoyed a few motorists crossing a narrow country bridge on a tree hugger outing. Not intentionally, mind you. It’s just that I needed to photograph a beautiful American Sycamore stretching its molten limbs over a muddy Georgia river. One trucker let me know how foolish I looked by blaring his air horn as I perched on the bridge railing snapping my shutter. Unaffected, I continued my craziness. The thought of being a tree hugger, as previously defined, may not describe you, but every person on the journey to self-reliance and preparedness would benefit from hugging a tree or two. 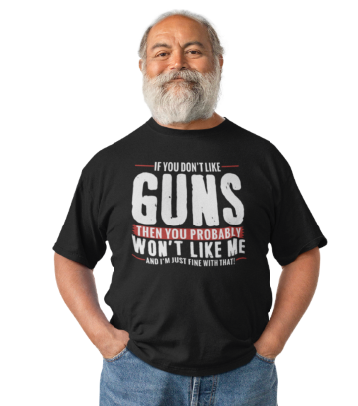 You’re conflicted, right? Well, don’t be. It’s our responsibility to protect, use, and conserve our natural resources. We’re stewards of this land. Our Appalachian ancestors understood the properties of trees and how to use the wood, bark, leaves, and roots to build a sustainable life. There were no box stores with stacks of dimensional lumber to build a house. If a handle shattered, they knew the best wood to use for re-hafting an ax. Tulip Poplar was abundant and used to build houses and hand-hewn log cabins. The Appalachian pioneers knew their wood! There are boat-loads of info on edible weeds and medicinal plants. I’ve found a lack of printed material on the medicinal/edible uses of trees. I have many of the Foxfire book series and always look to add more to my self-reliance library. Clue me in if you have more tree resource books, please. So, like any good Doer of the Stuff, I’m embarking (pun intended) on a tree education journey as part of my Doing the Stuff Skills list. Who knows, maybe you’ll be convinced to embrace your inner tree hugger. The first tree to wrap your arms around is the American Sycamore (Platanus occidentalis). It can reach heights over 130 tall, over 10 feet in diameter, and grow to be 600 years old. George Washington documented in his journal in 1770 a sycamore with a diameter of 14 feet (45 feet in circumference). Trees this large usually have hollow trunks that house animals of all sorts. It’s been reported that settlers even used hollowed Sycamore trees to shelter livestock. The rapid growth rate of this deciduous tree causes the bark to shed in molten fashion like a birch tree. Its camouflage pattern of light green and brownish gray with creamy white background splotches causes the trunk to stand out in late fall and winter when forest leaves lay on the ground. The exfoliating bark and coloration makes the sycamore one of the easiest deciduous trees in the eastern woodlands to identify in the winter. The fast growing American Sycamore likes wet bottom land near streams, rivers and ponds in full sun. Their leaves are similar to maple but not as spectacular since they turn a boring brown in the fall. Beavers find the bark appetizing. Bushcraft refers to the art of crafting in the bush (woods) with minimal tools and lots of skill. Sycamore’s fibers intertwine making it an excellent wood for spoon and bowl carving. The wood tends to warp in the drying process, so use dried, seasoned wood. Not rot resistant and shouldn’t be used for longterm structures exposed to the moisture. The sap offers a year-round source of hydration in warm climates. 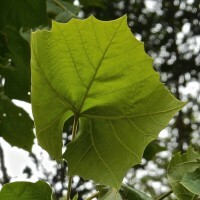 The sycamore can also be tapped like a maple tree for syrup or sugar. However, it takes a lot of sap to make small batches of sycamore syrup. Shade-casting crown of large trees offer shelter from the sun. Large leaves (up to 10 inches across) can be used as a wrap for slow cooked food over coals for an added sweet flavor. Sycamore is grown commercially for pulp and rough lumber. Interlocking grain makes nice accent pieces for woodworking. Turns easily on a lathe for bowls. Beautiful specking on gun stocks. Music boxes; guitars and violins. Hard to split which makes sycamore an excellent butcher’s block. Quarter sawn makes this wood more stable for projects. Flat sawn tends to warp. It gets one of its nicknames “Buttonwood” from it ability to create durable wooden buttons. The wood is food safe and was used for food crates and barrels in the past. Inner bark tee was used for a wide variety of treatments by Native Americans. The American Sycamore is a pioneer species. About forty years ago, we stopped cultivating a small field on wet bottom land on our family farm. Today we have a large stand of native sycamores growing wild. Being a “tree hugger” should not carry a negative stereotype or denote a political affiliation for those of us building self-reliance skills and pursuing a more sustainable lifestyle. Embrace your love of trees and learn to be stewards of these towers of the forest!